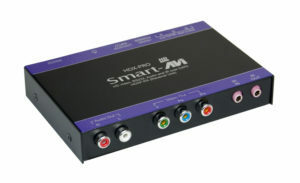 SmartAVI A/V Extenders extend composite and component video signals range up to hundreds of feet away. 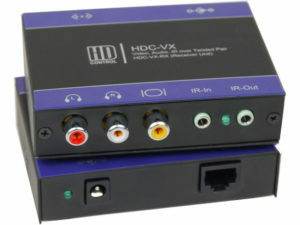 Great for stretching the bounds of your A/V set-up, A/V Extenders ensure your devices are always connected and within reach when you need them! 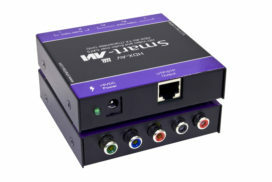 Extend Y/Pb/Pr component video and stereo audio up to 1,000 feet over a single CAT5 cable. Extend composite video, stereo audio, and IR signals up to 1000 feet via CAT5 cabling.